1 Be nice to the festival security people, they’re trying to keep you safe (and are very helpful and friendly). 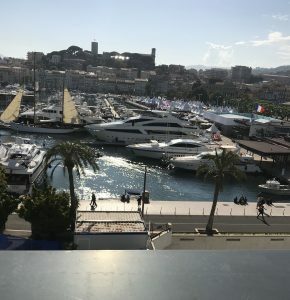 2 Check out the Journalists Terrace in the Palais Des Festivals for a chilled-out place to work and recover, with free coffee and amazing views! 3 Yes you really CAN get a ticket for a premiere by standing with a notice requesting one, though it’s not guaranteed. 4 If French isn’t your first language still try to speak a few words. I found it was really appreciated (even if they had a good giggle at me later) and your pronunciation will almost certainly be better than mine. 5 Leave extra time to get to late-evening press screenings. 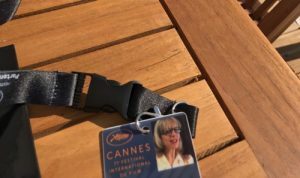 The sheer numbers of people milling and queueing round the Palais and the Croisette, for premieres and star-spotting, and the endless white barriers erected along the Croisette and half-way up the side streets, can make getting to late screenings an obstacle course. 6 Comfy shoes or sandals are a must for all that walking. What you spend on comfort you’ll save in blister plasters. Plus thick socks / warm layers for cold nighttime beach movies at the (free) Cinema De La Plage. 7 Check your contacts in case you know anyone who’s going (they might be a film maker or distributor rather than a critic). Obviously the usual safety provisos apply if you decide to meet up with someone new, eg from social media. 8 The Dailies, a fold-out listing for each day, are really useful for planning what you want to see. They are given out from 4pm the previous afternoon in the Palais, and you can pick one up in the festival theatres too. 9 Visit your country pavilion in the International Village by the beach to make yourself known; also check them out online before you get to Cannes to see what events they’re holding. 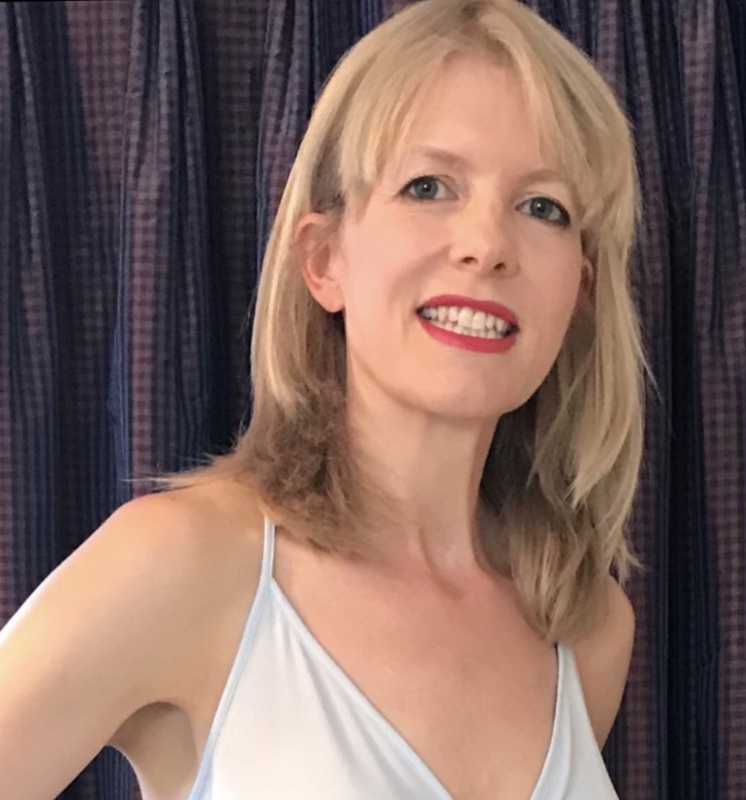 10 Network – even I managed to find someone to chat to over a glass of wine at an event. It’s scary if you don’t do it routinely, but trust me, they’ll have met someone less interesting, less useful and more drunk elsewhere (so say hi from me). 11 The journalists’ wifi room is really useful for working, especially if you’re staying out of the town and need somewhere to get stuff done in between screenings. 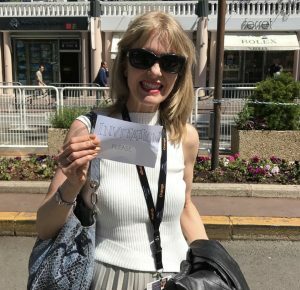 12 People-watching is really fun at Cannes, and don’t forget to go down to see the yachts (followed up by an angry rant over a bottle of Provence wine about the unfairness of the capitalist system. That’s what I did anyway). 13 Try to get to a party... and take your business cards with you. When you get back to your room, scribble down on the back of each one who they were and what they do (if you can remember). Then follow up after the festival.